Because my WordPress Custom Design upgrade expires soon, and the price of the annual subscription keeps on increasing. I do like all the free themes from WordPress.com though and it’s so easy to use, so I’m not planning on migrating to another platform any time soon. New theme is Lovecraft (I know, the irony) Hemingway Rewritten and the header image is something I knocked up quickly using PicMonkey, because my previous word cloud image looked a bit rubbish in this theme. I’d like to change it to something a bit more book-ish at some point, but with my track record, that’s not going to happen any time soon. It’s been a couple of years since I’ve actually updated my blog, so while I don’t think I’ve broken anything, shout if you see any missing links (or if the colour and/or font makes anything too illegible). I’m not too attached to anything at the moment, and I’ll probably continue tweaking it over the next weeks. The thing with #bloggerblackout is that it’s not exactly a statement if you don’t really post frequently in the first place. Especially if you don’t post that many reviews in the first place. Of course, as soon as I typed that, I looked at my last five posts – four review posts and one links post. Ha. In my defense, it wasn’t exactly planned – the recent flood of new release reviews (yes, three counts as a flood on this blog) is pure coincidence. It may not be very obvious, but I do try to have a bit of variety in terms of what I post. I don’t really have a specific point to make here, so bear with me as I try to make sense of what book-blogging means to me. I started blogging because I wanted to talk books. I’d been an infrequent poster on the AAR boards, and lurked on a couple of other message boards and newsgroups, but really wanted my own space to post about books I’d read, upcoming new releases, and well, anything book-related (and oh, I may have been a bit bored). So I started a WordPress acccount, wrote my first post, and hit Publish. And with that, I became part of the book-blogging community. It’s funny how this community is both big and small at the same time. There are so many blogs out there and there is no way anyone can keep up with all of them. You have the genre-focused blogs, those that look at literary fiction, blogs that talk about British authors etc etc – you name it, there’s probably a dedicated blog. I still stumble over long-established blogs which are new to me all the time. But the book-blogging community also feels small at the same time. It’s an open and inclusive community – partly due to the nature of the internet, but I think also because of our shared love of books. I’ve never felt as though I would be unwelcome commenting on a review or opinion piece if I wanted to add my two pence’ worth (though there is always this nervousness when you hit Post Comment on a site for the very first time – or is that just me?). It’s also a vibrant and living community, primarily because everyone has different opinions and interests. I may not always agree with all posts on my favourite blogs, but I can’t deny that the more controversial posts have made me think more about my preconceptions and help broaden my mind. I kind of think of every blogger/reader as little Venn diagrams, all overlapping and making up the entire book-blogging community. Six degrees of separation and all that – I mean, that’s how I find new-to-me blogs in the first place, it’s like following a trail of breadcrumbs as I click through on links, mentions, comments, and so on. My blogging patterns have changed over time. I post a lot less frequently than I did in the first couple of years (I think back to those years and wonder at the amount of free time I appeared to have then). There are times when I just fall out of the habit of blogging, and then just as suddenly get the blogging itch back. I started off talking almost exclusively about historical romance, IIRC, because that was what I read then. Over time, my reading habits and interests have evolved, and my blog posts reflect that. But regardless of what I’m reading or how often I blog, I appreciate that I have this space where I can post whatever I want about what I read. What I think #bloggerblackout and #HaleNo have highlighted is that book-blogging has become a lot more commercial over the past few years, as bloggers (and their readers, be they commenters or lurkers or casual passers-by) have established themselves as part of the publishing ecosystem. There’s nothing wrong with that, and it’s linked to the book-blogging community being a living and evolving place – blogs would never have stayed the way they were, say, five years ago. But the greater prominence and (perceived?) importance of blogs have given rise to the recent instances of Appalling Behaviour. I don’t think it’s necessarily book-blogging specific, as evidenced by a quick look at news reports, but I’d hate to see a few bad apples ruin this wonderful community. So I do think #bloggerblackout is good, because it’s triggered the conversations around why individuals are blogging (and everyone has their own motivations and drivers), and equally importantly, what is acceptable behaviour and what isn’t. Not because it “punishes” authors or publishers (and here I admit that I honestly can’t see how a number of blogs not posting new releases reviews for a few days is hurting anyone – but feel free to comment). I love that Dear Author has chosen to kick off a series of reader conversations this week as part of #bloggerblackout, as this reflects the why behind my original attraction to book blogging. Really, I just wanted to talk books with fellow readers back then, and I still want to talk books with fellow readers. So (800 words later – thank you to those who actually read this far!) – I’ll continue to talk about new releases I’m excited about, to be enthusiastic about books I love, and to grump about books that disappointed me. I’ll remember that I’m not a cog in the book publicity machine and that I should never feel obligated to like or shout about a book. At the end of the day, book blogging’s about sharing our love for reading – whether it’s the thrill of discovering a new-to-you author (or watching someone discover one of your long-time favourite authors), a passionate debate that opens up new ways of thinking about your well-loved books (or makes you go off to read someone else’s well-loved book), or just even reading someone’s thoughts on a book that mirrors yours, and thinking “ahhh, yes”. Now that Wimbledon is over*, I figured I should do a post to prove I’m still here. And I do actually have a couple of things to talk about! Paragraphs have their own internal structure and rhythm, like little prose poems, flowing out of what went before and pointing to what’s next. Sentence length gets varied for cadence and effect. Also LMB-related – her book SHARDS OF HONOR (the first Vorkosigan book)** is part of the current SF ebook Humble Bundle (four more days to go). If you haven’t heard of the Humble Bundle concept, key points: pay what you want, DRM-free ebooks, a portion of the proceeds go to charity (you can choose the percentage), and pay more than the average (currently $10.48) to unlock six additional books. I bought the first Humble Bundle, but am still pondering this one – I already have two of the books and the others aren’t really that appealing to me, but I love the concept and want to support it (though with 51,000+ bundles sold, they probably don’t need me). There is another SF bundle at StoryBundle (slightly different rules but same concept – not sure when this one ends), but I like the Humble Bundle selection better. LMB and some of the other authors in the Humble Bundle also did a Reddit AMA (hint: click on the poster’s name if you want to see all of his/her replies). Is it just me or are Reddit AMAs becoming more popular as a promotional tool? I did a bit of a blogging experiment during June, which you may have noticed – I accepted several ARCs for review. I’ve done that before on a very occasional basis, but this was the first time that I had more than one at the same time (which may make me a rarity in the book-blogging world?). I was trying to shake up my blogging habits a bit, and was wondering whether focusing on reviews/ARCs would change my sporadic blogging patterns and inspire me to blog more. Ummm… no – I think I came out with a new-found respect for those bloggers who regularly post reviews. While I selected books that appealed to me, it still felt a bit like homework – I would turn on my Kindle, the NetGalley arc would be sitting there, and I’d feel guilty if I chose to read something else. I feel the same about reading challenges – as soon as I have to read a specific book within a set timeframe, I start finding excuses not to read it. And even though I gave myself a decent amount of time to get the reviews up, I ended up cutting it very fine. Conclusion? While I’m glad I did it so I can now stop wondering if the reviews/ARCs route is something I want to pursue, it’s not something I’ll repeat anytime soon. Murray reaction: Everyone in my office: “Thank goodness he won”. My non-UK friends: “Yay Murray!”. I’m starting to suspect Murray has a bigger following outside the UK. Great tennis blog: The Changeover. Hilarious yet insightful analysis – here’s their Twitter commentary round-up on the Murray-Djokovic final. 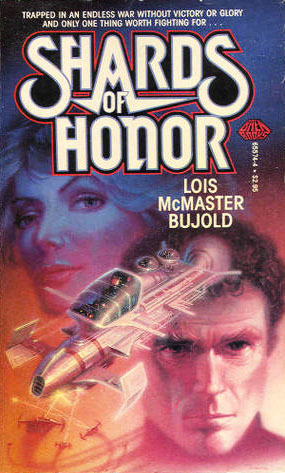 **I liked SHARDS OF HONOR and it is the first book in the series, but I tend to recommend THE WARRIOR’S APPRENTICE as the gateway book into the Vorkosigan series (though I do know lots of other people suggest SHARDS). I think it’s because of my personal experience: I read SHARDS (as part of the CORDELIA’s HONOR omnibus) first, and while it was decent, I wasn’t hooked on LMB’s books until I read THE WARRIOR’S APPRENTICE. At which point, I promptly went out and bought every single remaining book in the series. Today’s BBAW daily blogging topic is around how book blogs have exposed you to books or authors you never may have heard of otherwise. I’m kind of at a loss as to where I start. It’s safe to say that the vast majority of books that I read nowadays are BECAUSE of blog recommendations, including some of my all-time favourites series. I never would have picked up Seanan McGuire‘s October Daye books if it wasn’t for everyone* saying ROSEMARY AND RUE was so worth it, so I put aside my irrational dislike of fae-centred books and promptly fell in love. 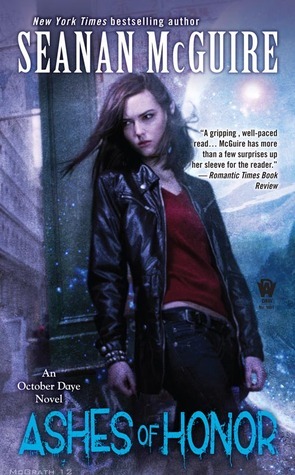 Same with Ilona Andrews‘ Kate Daniels series – I didn’t really care for the first book, MAGIC BITES, but everyone* swore the series got better – and you know what? So true. But these are NYT bestsellers, and they probably would have popped up on my radar via other means – be it on my local bookstore shelves, Amazon recommendations, print reviews… though yes, it may have taken longer. Andrea K Höst‘s TOUCHSTONE trilogy – and her entire backlist, really. Estara was the one that (virtually) hand-sold her books to me, and I believe she first encountered Ms Höst’s books via the Book Smugglers’ blog and Ana’s CHAMPION OF THE ROSE review. I read and loved the Touchstone books, and then raced through all her other books in a matter of weeks. It didn’t matter that the Touchstone books were SF (or science fantasy) while the rest were straight fantasy (and also very different stories) – I just fell in love with the stories she was telling. 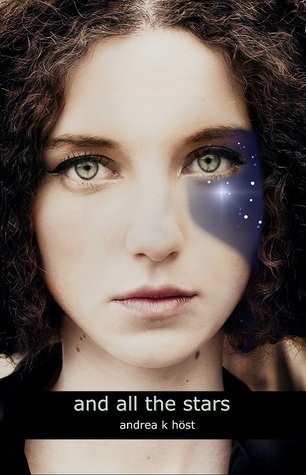 Now I’m waiting very impatiently on her next release, AND ALL THE STARS. Tammara Webber‘s EASY (which I mentioned last week) – a brand new-to-me discovery via blog reviews. The emerging New Adult sub-genre is hard to pin down or define, perhaps a bit more mature than YA but not quite adult contemporaries, but whatever it is, Ms Webber got the story just right in EASY and I can’t wait to dive into her Between the Lines series. Josh Lanyon‘s Adrien English series, which in turn has led to me buying everything he writes. I can’t recall exactly how I came across his name – I suspect an If You Like… kind of post at Dear Author, but his writing is the perfect blend of mystery and m/m romance, and it’s rare that there are any misses. So yes, just three of my now auto-buy authors that I’ve discovered via book blogs – here’s to many more. Tell me about who you now read because of book blogs – I’d love to know! *If you have a book blog and love these authors, everyone is probably you – so thank you. It’s not just Holly’s Seven Days for Sevenwaters taking place next week – the annual Book Bloggers Appreciation Week is on too (though it’s a more low-key version compared to previous years). I haven’t participated in the past couple of years due to time pressures, but hopefully this time around, I’ll manage to join in on one of the daily blog topics. As a heads up, Bloggiesta is on for the weekend of Sept 28-30 (co-hosted by Danielle and Suey). Sign-up post here, if you’re interested. I took part in the April Bloggiesta, and it turned out to be a great way to do all those blog-type spring-cleaning tasks that I had been putting off for ages. It was good fun because everyone was doing similar things, and also those mini-challenges were informative and useful. And the peer pressure forced me to actually get things done 😉 I’m not sure if I’ll have time to take part this time around, but am certainly considering it. Sarah Rees Brennan‘s UNSPOKEN has been getting great reviews around the web, and she’s posted a free short story (PDF) set in the same world. If the aim is to whet my appetite, it has certainly succeeded. Tor.com’s Mari Ness has posted a review of Georgette Heyer‘s THE MASQUERADERS, which is up there in my list of Heyer favourites, though I haven’t read it for a while. I have just re-read ARABELLA though, which was all kinds of fun and a satisfying read. Seanan McGuire‘s ASHES OF HONOR: Definitely worth sacrificing some sleep for. 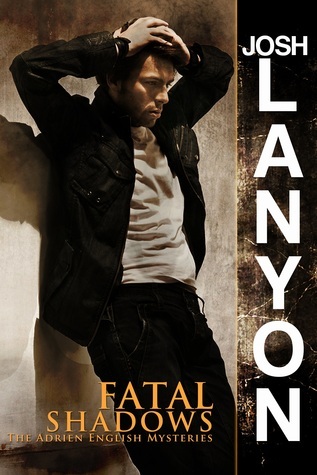 I have crazy love for this series, and this was a fantastic installment, especially since Tybalt takes centre stage in this one. But even without Tybalt (though I veer close to sacrilege here), I enjoyed exploring so much more of this alternate world that Ms McGuire has dreamt up, and Toby’s relationships with her friends – and enemies – were just engrossing. It left me wanting more. Tammara Webber‘s EASY: Everyone appears to have loved this one, which usually tends to have the effect of me waiting until the hype dies down. But prompted by the news that Razorbill UK (Penguin’s teen line) will be publishing Tammara Webber’s books, I decided to check this out, and ended up really connecting with this college-set story. While the plot was perhaps a tad bit on the predictable side, I was won over by Jacqueline and the realistic yet mature way she dealt with the cards handed to her – and of course, there is some rather sizzling chemistry on the romance side of things. I’m going to have to check out her Between the Lines books now. 2) Work on my Goodreads reviews: I have (finally) added all the books I’ve read during 2011. Next task: 2012 reviews. I need a better system – like adding books as soon as I finish them? 3) Cross-post my Goodreads reviews over here: I didn’t actually schedule any more today, but I’ll call that one done, I think. 4) Update my About Me page: Done! I ended up only tweaking it slightly, but I’m happier with it now. 5) Write some blog posts: Err… not done. One for another day. 6) Twitter (possibly): New account set up yesterday and I’m s-l-o-w-l-y getting the hang of it. I can see how it could become quite addictive. SEO (April @ Good Books and Good Wine): I’m going to have to come back to this later. Loads of interesting and useful information here. Backing up my blog (Jackie @ Farm Lane Books): Done! Comments (Sheila @ Book Journey): I’ve visited some new-to-me blogs (and some not-so-new-to-me ones 😉 ) but I’m not going to hit 20. I’m bookmarking the list of Bloggiesta participants though, as there have been some really cool ones. Themed pages (Charlotte @ Charlotte’s Library’s): To be done at some point – I like the idea, but have just run out of time. So all in all – 5/6 on my to-do list and 3/6 mini-challenges done. It’s been a really productive and fun weekend – thank you again to Suey and Danielle for hosting! Right, I’m calling it a day now. After a rather late start and various distractions, here’s what I’ve done so far. 1) Sort out a new blog header: I basically re-ran my blog through Wordle, and picked out a new colour and font. It’s much brighter than my old header – more spring-like, or so I like to think! I’m going for the neon/neutral trend, which I really like. 2) Work on my Goodreads reviews: In progress – I’ve done about eight today, and have about 15 more to go if I want to finish off my 2011 books. Yeah, I know. 3) Cross-post my Goodreads reviews over here: Also in progress – I’ve done a couple. I think I’ll aim for two more. 4) Update my About Me page: Nope, untouched – one for tomorrow, I think! 6) Twitter (possibly): I’m on Twitter (@meandmybooks) and trying to figure out what to do with it! Tips, anyone? Twitter (Katie @ Katie’s Book Blog): Err… I did set up my blog posts to publish automatically via dlrv.it, watched it do one, and then deleted it as I decided to try and give the WordPress functionality a go first (this may be the first post). Does this count? SEO (April @ Good Books and Good Wine): Tomorrow! Goodreads (Janicu @ Janicu’s Book Blog): Yes, done – yay! Themed pages (Charlotte @ Charlotte’s Library’s): Tomorrow, maybe. This may be more of a long-term thing. So two to-dos and two mini-challenges done, three being done, and five still to start tomorrow. Progress of a sort, methinks. It would help if I actually got up earlier. A bit of a late start to Bloggiesta for me – I was planning on doing something yesterday evening, but after a rather stressful week at work, all I wanted to was collapse on the sofa with a book. So much for Friday. I’m easing myself into Bloggiesta by scanning the list of mini–challenges (seriously impressed, btw). Janicu’s doing a Goodreads challenge – I thought I knew how Goodreads worked, but there are some new-to-me tricks there! Slightly late to the party, but spurred on by Janicu’s post, I’m going to take part in Bloggiesta next weekend. I’ve been neglecting this blog somewhat and this feels like a good time to do a spring-clean! 1) Sort out a new blog header: I’ve used my current header for over a year now – time to update, I think. I still like the Wordle-style design, but may play around with the colour and font. And it’ll be interesting to see what are the words I’ve been using most often recently. 2) Work on my Goodreads reviews: While I would love to get my reviews up-to-date, it’s extremely unlikely I’ll manage to do all of them over one weekend. I’ll settle for finishing reviews for all the books I read in 2011. 3) Cross-post my Goodreads reviews over here: I’ve slacked off recently on this, time to schedule some up. 4) Update my About Me page: It’s still basically the same page as when I started blogging, I may do a complete overhaul. 5) Write some blog posts: I’ve a couple of unfinished posts that have been sitting in the Drafts folder for a while. I’ll either finish them or have a “what was I thinking”-type moment and delete them. 6) Twitter (possibly): Maybe I’ll even get as far as setting up a Twitter account. Ummm. It only took me a few years to join Goodreads and I’m loving it now. No, I’m not an early adopter by any means. Gosh, that feels like an ambitious list! As long as I get at least half done, I’ll be happy. I’ve been bored with my previous blog theme for quite a while, not helped by WordPress releasing a number of tempting new themes over the past few months, but never quite had the time to play around and see what suited me until now. I wanted something with two sidebars so that I could give my blogroll a bit more prominence without losing my monthly releases widget. A custom header area. Fonts that I could live with and block quotes that didn’t look funny and ummm… some spacing around my pictures. I’m not picky. Really. Anyway, this theme, Fusion, appealed to me most – it met all the criteria above, and although it doesn’t offer a custom colour scheme, that really fell under the banner of very-nice-to-have. So after a minor panic attack (I thought I lost my entire blogroll at one point) and a few swear words (the Categories widget almost defeated me by refusing to disappear from where I didn’t want it to be), I think I have the new blog template pretty much there. So, does this look okay on your screen? This is the free version of WordPress, so I am pretty limited in what I can change – I can change my header and widgets on the sidebars, but that’s pretty much it. I may give TypeKit a go, which allows you to customise some fonts, but that will have to wait until I have more time to figure out how!